Discount offered: Half price tickets for mentors, free tickets for mentees. Call Box Office: 654- 2617. 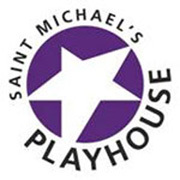 Since 1947 the Playhouse has been entertaining audiences with award-winning theatrical productions in one of the best theater facilities in the green mountain state. Just minutes from downtown Burlington the Playhouse continues to be Northern Vermont’s premiere professional theater company, truly a Vermont treasure.